There is so much free content online (including my blog) but searching for it, and ensuring it is a reliable source takes time. 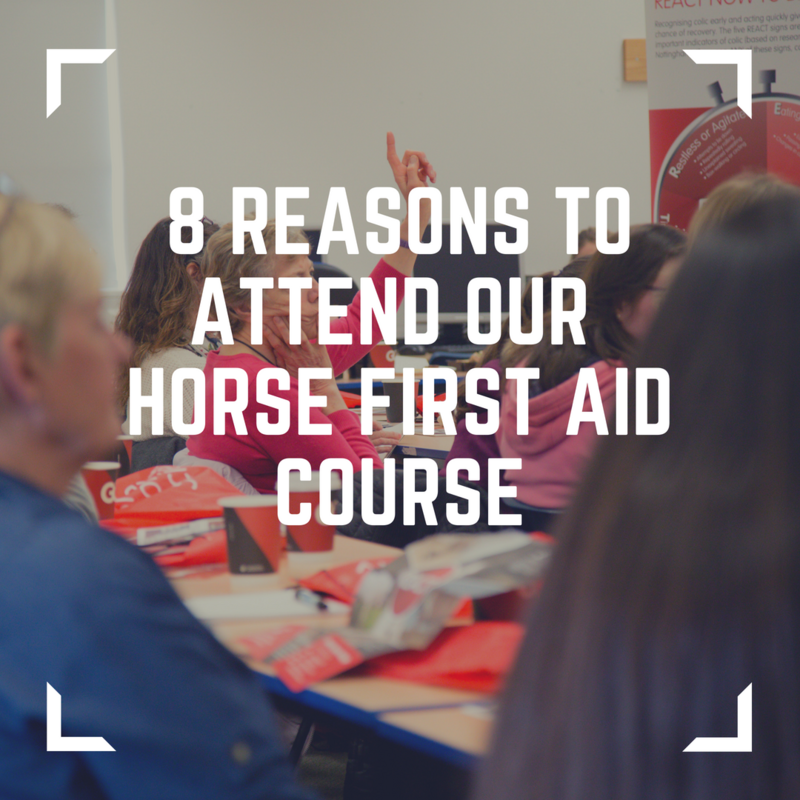 Investing in attending a workshop like our Horse First Aid course and you will get all the information you need in one day. You will receive a copy of the notes from the day, and it's your to keep forever. Our Horse First Aid Course is a busy day, and we have so much that we want to help you with. After the course you will receive an email with links to our ‘How to videos’, with one of our vets, as well as a detailed information pack all about Strangles. You will learn so much on our Horse First Aid workshop, and you can truly trust the information that you are getting, because all the training is delivered by a qualified vet. You won’t need to be googling, asking everyone at your yard or posting in online forums or social media groups to get make decisions for your horse. As a horse owner this can be a real conundrum. To call the vet out or not. Actually there are several key times when you definitely need to call a vet out, understanding these will make your decision making process so much easier. I love helping owners who come on our live events, and I want you to get the most from your one day workshop. You will receive a email before the event with suggestions about how to get the most from the day, as well as specific information about the venue, start time, directions and where to park. After the course you will receive another email about what to do after the course to maximize your days training. Learning with other like-minded people is good for you. You will leave the day with new knowledge and confidence, and you’ll also meet people you might want to meet up with for rides or coffee. One of the most frustrating things about attending a great workshop or training day is that's it once the day is over. You leave with your brain buzzing, and heaps of notes, but with no support after these notes form a pile, or get left in the car and you don’t take action. After the course you will receive another email about what to do after the course to maximize your days training. I post all the time in my Facebook page about what others have done after attending a course, and I would love it if you could share the changes you have made to help other horse owners like you.